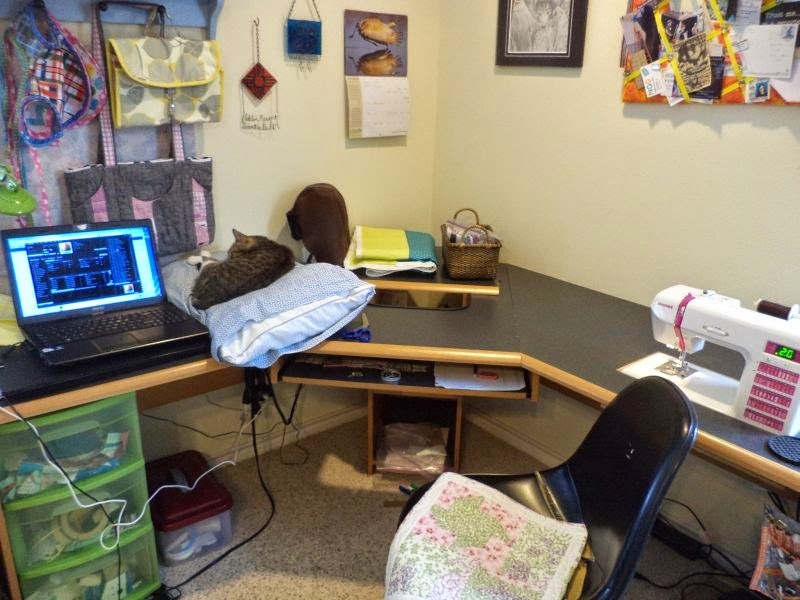 Kat & Cat Quilts: WIP Wednesday- Basting Party! I have recovered from my cold, I have a week off work, and I'm back at the machine again! Here's my sewing area this morning. Wilson was insisting on being in my lap, so I brought over a pillow and he consented to stay on that. I have sewed together 2 quilt backing this morning and today's big project will be getting them basted. 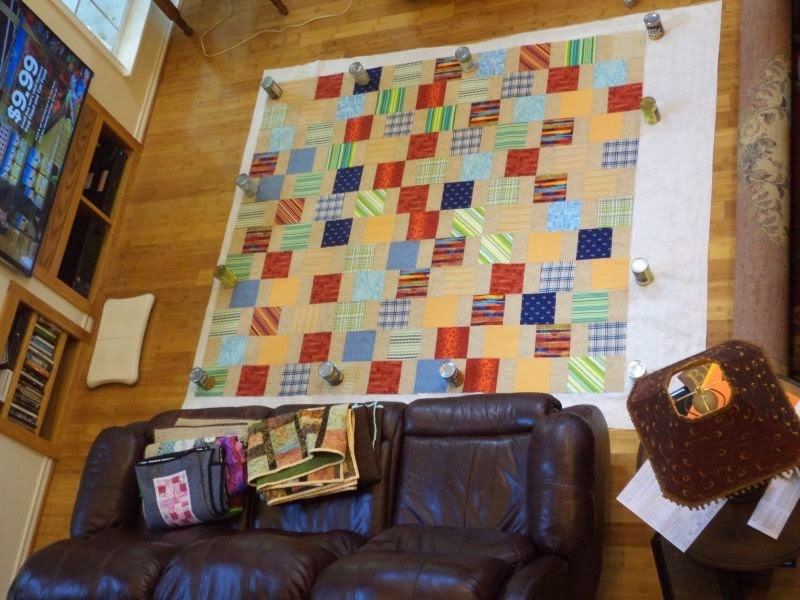 For this LARGE quilt is used an unusual and very stretchy material for the back, so I opted to weigh it down with cans rather than taping it to the floor like I usually do. We'll see how it quilts, I have my fingers crossed! HST Waves, and There's a Cat on my Quilt! Honeycomb Quilt is a top! Around the World Bloghop - My turn!